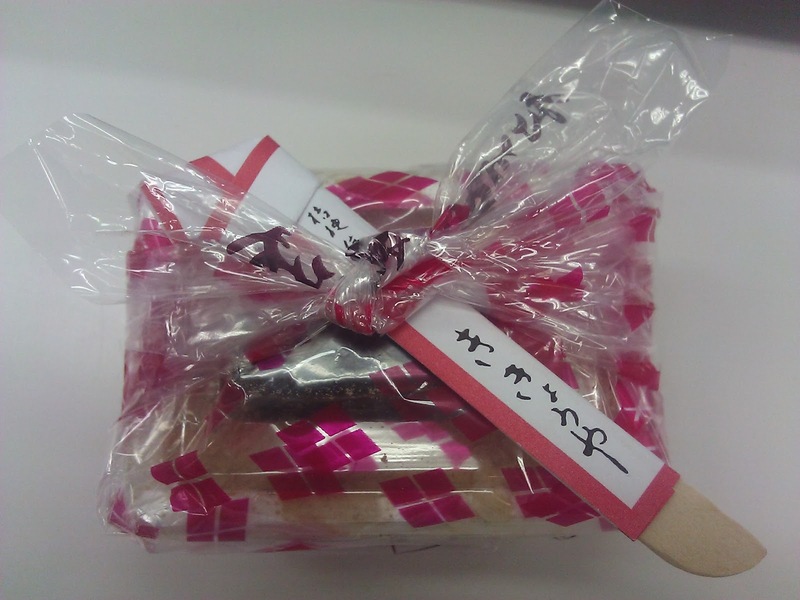 One of the things I love about the Japanese culture is the gift-giving. And also the fact that they can make simple things that most of us take for granted, or regard as common, into something pretty or exquisite. Like this little souvenir that my colleague gave out to us. It's nicely wrapped as if with a furoshiki cloth wrapper, and there's a little wooden spatula-like stick slipped in between the knot like a knife ready to be taken out. Once the plastic wrapper is unwrapped, you have a container with its lid; in the middle is a bottle of dark liquid. 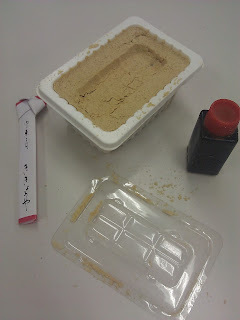 The brownish stuff is the kinako (soy bean flour) powder which covers the mochi (rice cake) at the bottom. 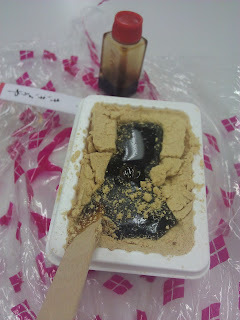 First uncover the bottle and pour out the kuromitsu syrup, translated as black honey onto the powder. 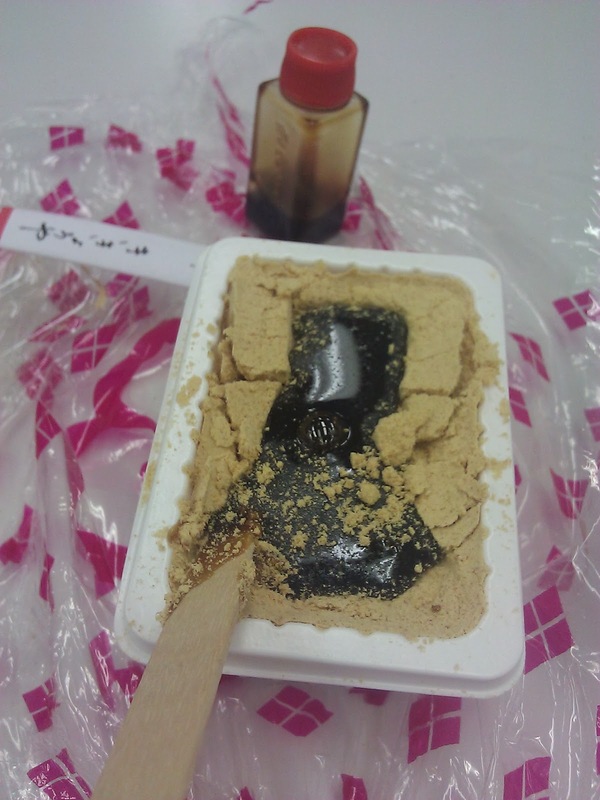 Try to mix the syrup into the powder carefully, and not make a mess out of the little arrangement there. 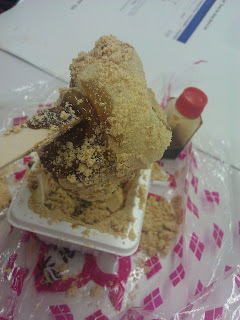 Using the wooden stick provided, stick into the gooey powdery mass and get your mochi out. And there you have your delicious Japanese dessert. This is known as shingen mochi, from the Yamanashi prefecture. You can get other variations of this in supermarkets too, but nothing beats the enjoyment you get while slowly opening the gift and trying to look for the mochi hidden beneath the kinako!